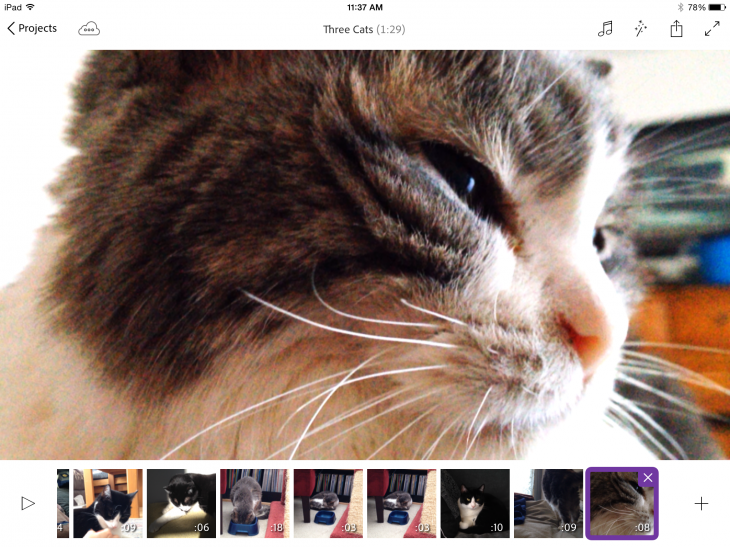 The year 2014 saw a literal explosion of photo and video apps for iOS, Android and even for the desktop — many with their own unique niche or angle. Some are easy to learn and use while others focused on complex maneuvers best accomplished with a quality camera and a learning curve. Here some of the finest apps in the genre, either launched or substantially updated this year. In the mobile sector, some are primarily shooting apps, which means that if they have editing capabilities, it is only for the photos shot in the moment. 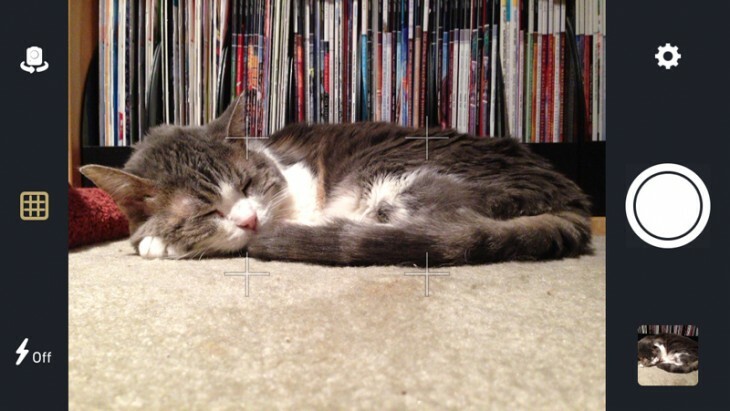 Others are primarily editing apps that you may also be able to conveniently shoot with. Some are dedicated photo or video apps, others encompass both shooting modes, and some are optimized for both phones and tablets.. The desktop apps span the range of photo editing and organizing. This monochromatic photo shooting app, created by photographer Kevin Abosch, delivers a unique aesthetic to your images. 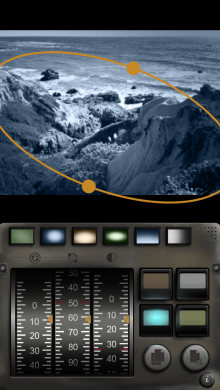 Three simple sliders, governed by an on-off toggle, let you customize your frame for automatic or manual focus (iOS 8 only), adjust contrast and add a cool or warm temperature tint. There’s no filters or front facing camera — so no selfies. 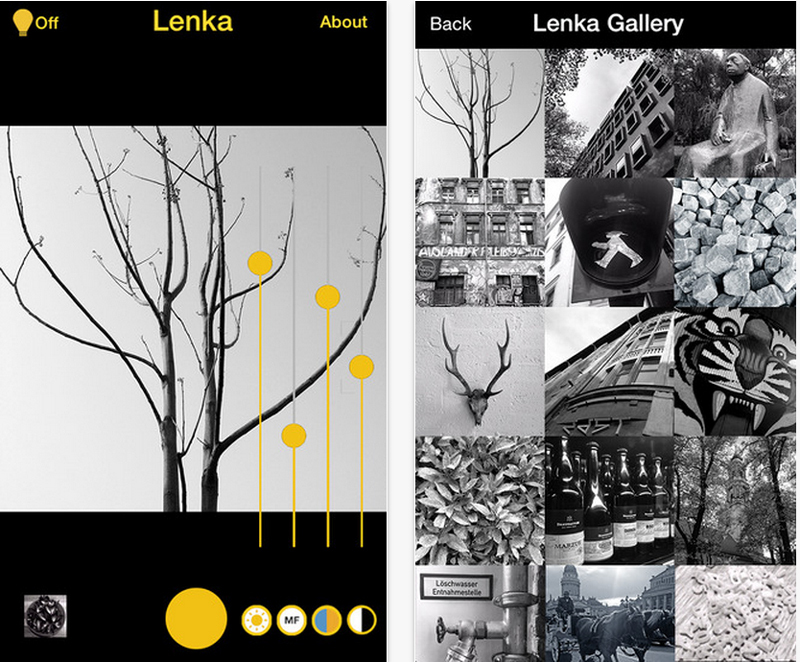 Lenka is not a social network — you can’t follow or like other photographers or comment on their photos from the app. You also can’t reach back into the Camera Roll and use Lenka as a filter, though you can later apply filters to images shot with Lenka. MultiCam lets you shoot first and set your focus and exposure later. 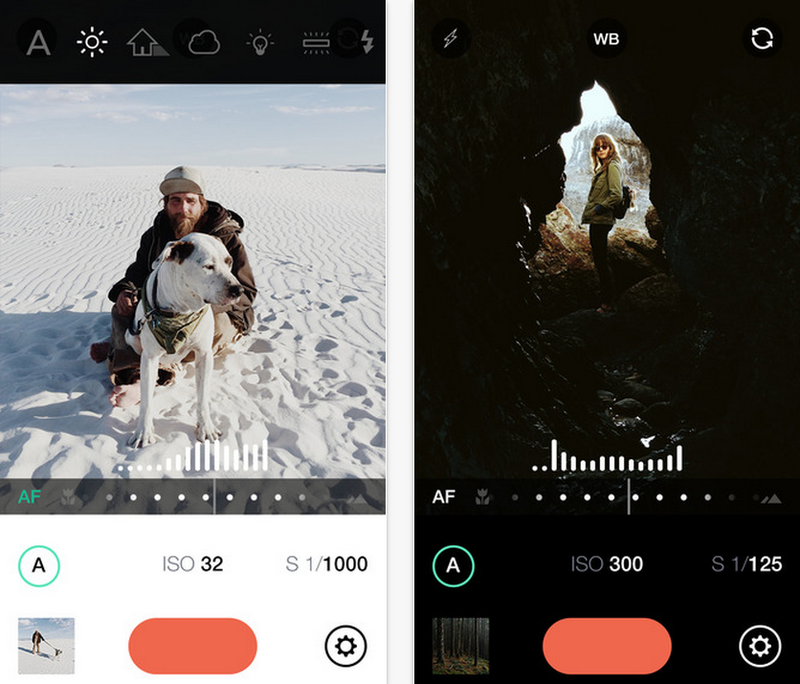 The app’s signature feature is letting you capture and save multiple exposures in your iPhone library and decide later on the right one to save. 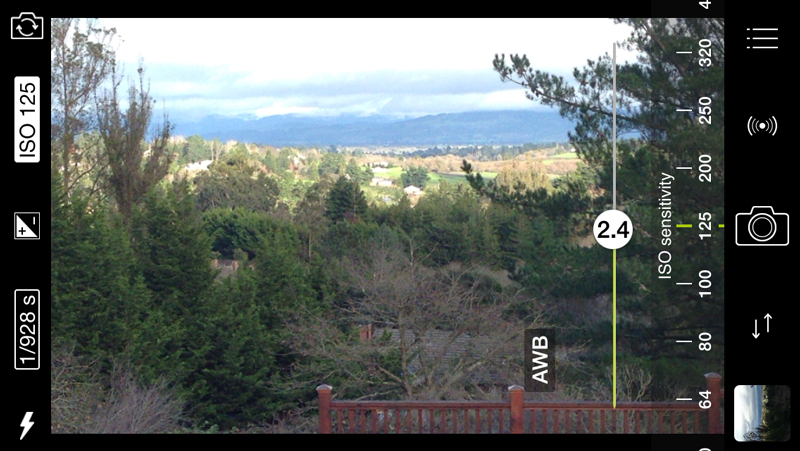 An image-based slider interface lets you visually make adjustments. From the settings, you can choose to capture from a variety of both exposures and focus points — including a nine-area focus mode. The app determines which combinations are possible. MultiCam offers modest extras such as a front facing camera mode, flash and a rule of thirds guide. ProCamera 8 is a DSLR emulator that works quite well, and while it wasn’t quite introduced in 2014, it was updated this year in major ways. 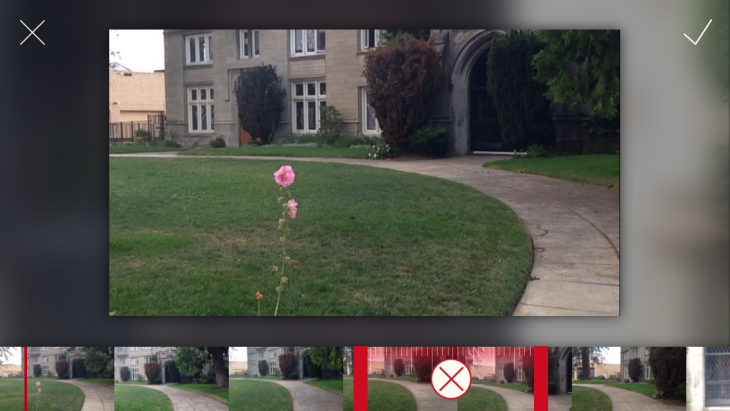 ProCamera 8 (named for iOS 8) provides precise controls for ISO, shutter speed, white balance, focus and exposure. Its video module supports shooting at 120fps for the iPhone 5s and 6 models, complete with slow-mo playback. Pro level apps like this one are often deep and complete and ProCamera 8 features a detailed control panel that you can adjust before you start shooting. 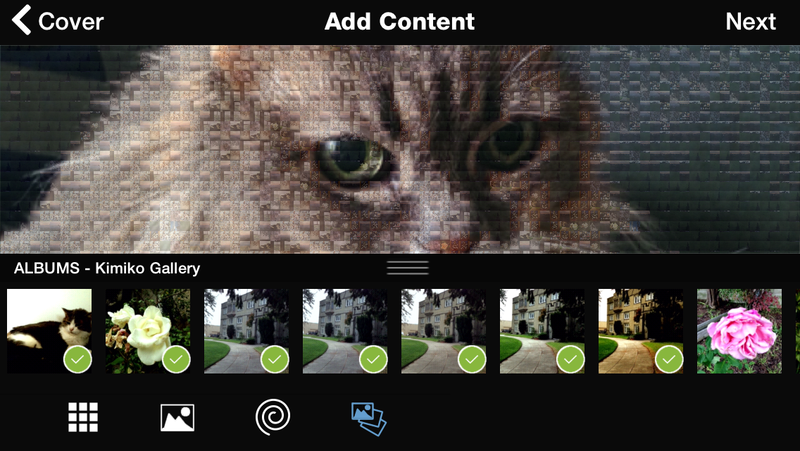 It’s no accident that we chose ProCamera 8 as one of our Apps of the Year. Manual is a full-featured DSLR shooter with an easy, natural feel. The app operates in either portrait or landscape — the icons elegantly flip to the correct orientation. The first thing you see when launching Manual is a dynamically generated histogram showing you how the light is distributed in your scene. 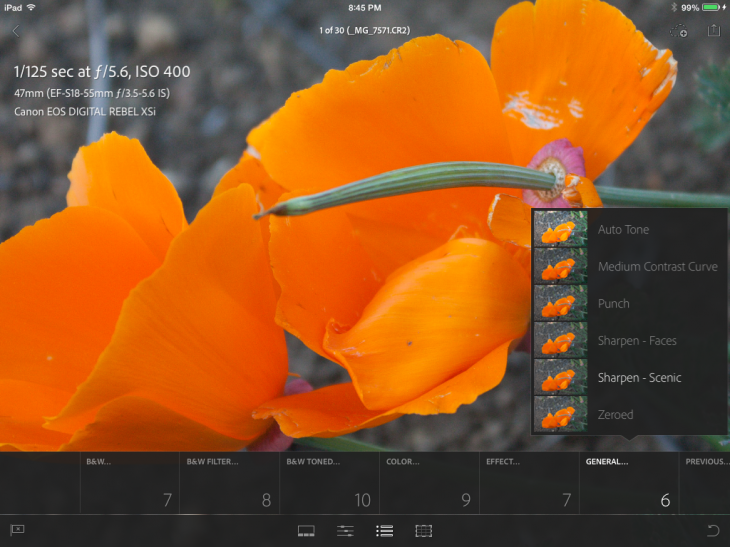 Popup menus let you control shutter, ISO, white balance, focus and exposure bracketing. Just tap and slide to see how the controls change the scene dynamically on the display. It’s better than a touch screen live view because it’s easier to handle and more flexible. Fractograf is a mashup of a photo mosaic and social networking to create a shareable image. When you magnify a fractograf you’ll see that it is comprised of many smaller images, called fraxels. A fractograf differs from a photo mosaic in that it is seamless: friends can contribute to your piece, it allows beacons to signal different features and it can also incorporate other fractografs. Fractografs start with a single cover photo, after which you can delve directly into your Camera Roll or snap new images to add on the fly. The images are instantly color matched, creating a sense of unity for your cover photo in a fun-to-watch animation. Pixelmator on the desktop has long been a favorite among artists and photographers, especially those who hope to find a non-subscription alternative to Adobe Photoshop. With the mobile Pixelmator, available for iOS only, you can create drawings and paintings from scratch or pull photos in from your Camera Roll to adjust or use in layered compositions. This long-awaited iPad app is a solid contribution to the slate of image editors for Apple’s tablet, a preferred editing and compositing medium for artists. TinType, an iPhone app from Hipstamatic that adds a vintage, hand-tinted look to your images, specializes in old-time portraits. Shoot directly from the app or switch to the front-facing camera. You can also dive into the far reaches of your Camera Roll for images you’d like to apply its charming effects to. 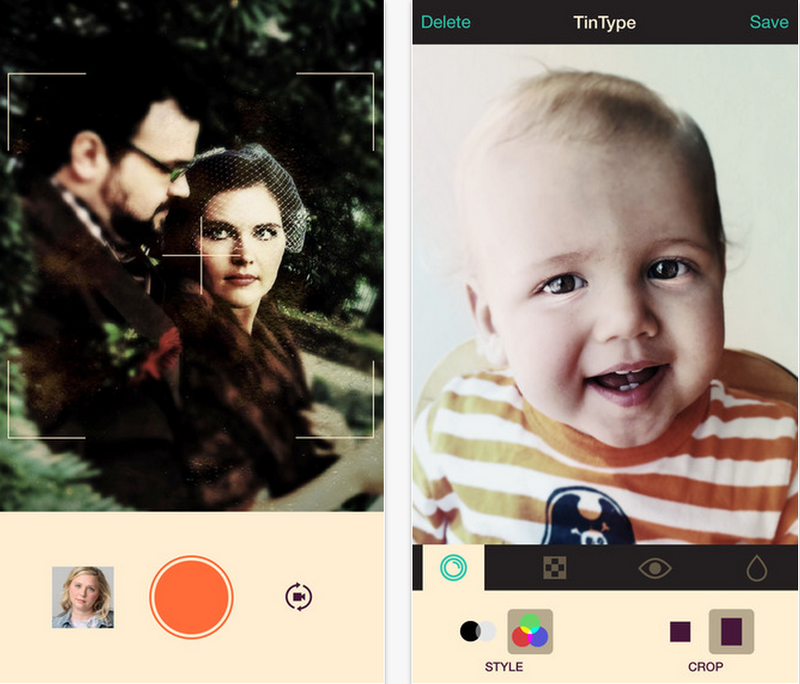 Making use of iOS face detection features, TinType automatically finds faces and eyes, but you can use it on any kind of picture. A slider bar lets you adjust plate grain — the amount of aging you want — to the picture. There’s also a control for faces, but if there are no people in the image, you just adjust the depth of field. TinType has a ways to go as a singular best-in-class filter but, I like its effects so much as to recommend it now. With Mix’s collection of more than 40 textures, 10 adjustment tools and 115 filters, you can create original effects such as DSLR-like depth of field and bokeh blurring, as well as color adjustments in a programmed but open workflow. Mix, the work of Camera360, is designed as a companion app to Instagram, except that you can roll your own filter mixture rather than using presets. Mix fits right in with other photo apps and its programmed progression and familiar controls make it seamless to learn and use. 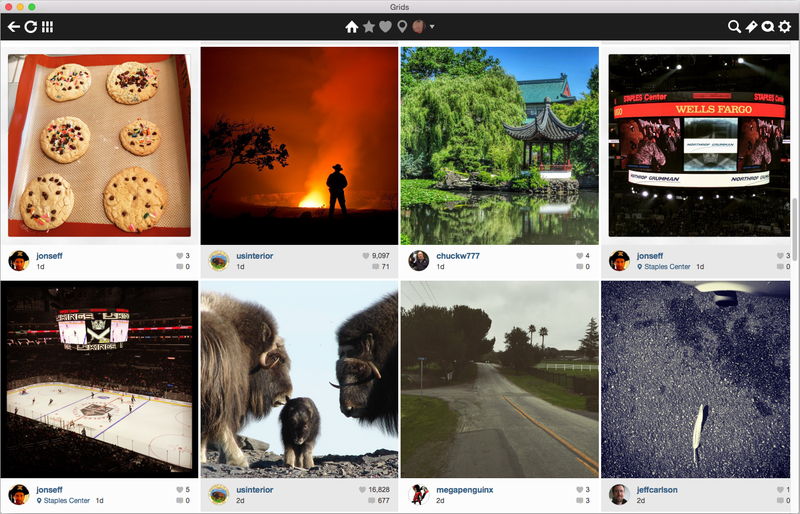 Moju, sometimes referred to as “Instagram on steroids,” showcases photos with an animated flair. 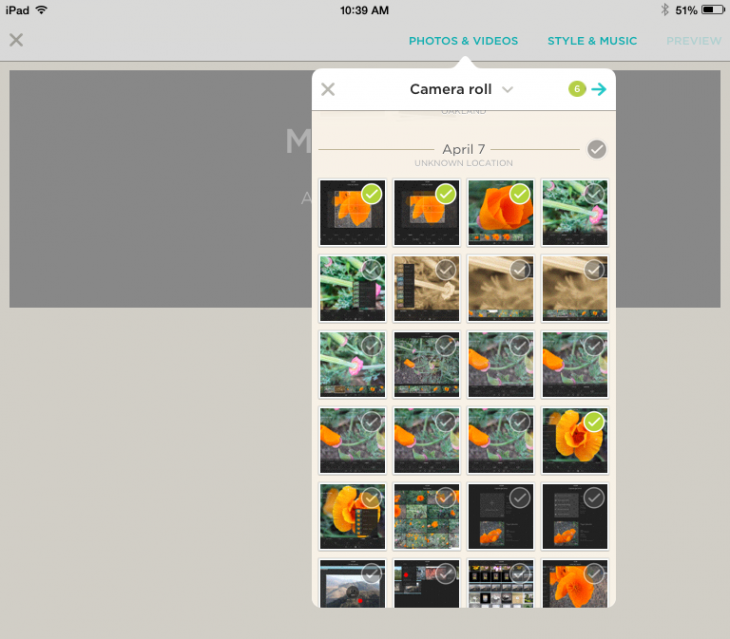 Moju is designed to move beyond photos and video to blur the line between them. Moju has all the characteristics of a still photo, but with an animated enhancement that is totally controlled by the user. 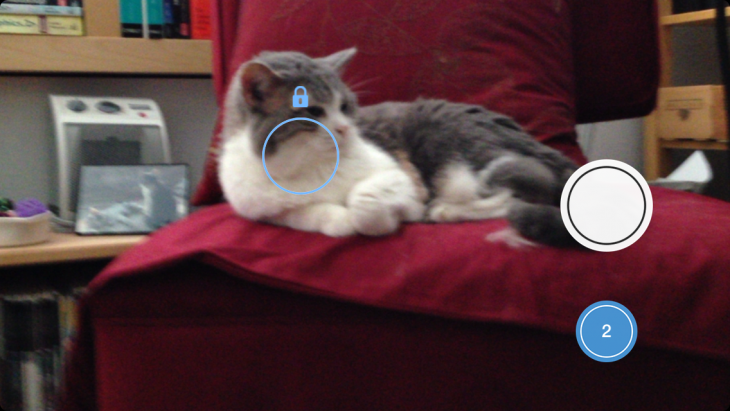 With the Moju iPhone app, a brand new content type — the animated still image, hologram-style — has emerged. It is comprised of up to 24 individual shots that can be viewed in any angle or order by twisting the phone back and forth. You see what looks like a classic cel animation or hologram effect that makes the image dynamic while maintaining realism. Red Giant’s Noir Photo, first introduced in 2011 but with its first major update this year, uses a spotlight vignette effect and various presets to get you started on converting a color image to black and white. The app is easy to navigate with three on-screen dials that let you separately adjust the vignette’s outer and inner exposure and contrast to give the image a unique look. Thankfully, you can reposition the vignette without waiting for a render with each try. If you’re especially fond of the effect you created, you can tap and hold one of the six preset buttons to save and reuse it. All images are saved in their original resolution. Updated on 12/27/14 to clarify the launch and update timeline of Noir Photo. Adobe Premiere Clip is a new companion app to Adobe’s video editor Premiere Pro CC, available via Creative Cloud. However, Premiere Clip is also a standalone consumer mobile app that’s free for everyone. You just need to establish a Creative Cloud account so that you can log in, store, sync and post video files — you do not have to be a full fledged member of Creative Cloud to use the app. And it’s a good thing, because Premiere Clip is very easy to use. Either shoot fresh video with your iPhone or iPad, use video already in your Camera Roll or mix both old and new clips. After you choose the clips you want to include in the project, they will appear in the timeline in the order they were shot. Built-in editing controls adjust exposure, highlights and shadows. Audio adjustments let you control overall volume, while the Smart Volume automatically equalizes sound throughout the clip. Adjust the speed of the clip if you want to slow it down. Instagram’s Hyperlapse video app combines time lapse effects like those built into the iPhone 5s with stabilized motion tracking for a simple, phone-based production workflow. There’s nothing to set up beforehand except your location, and you can tap to adjust the exposure and focus directly on the iPhone screen throughout your shoot as you change environments and adapt to shifting lighting conditions. All changes are immediately viewable. Hyperlapse automatically records at 6x regardless of how you set your previous video. After you finish recording, you can choose to accept or reject the video you just shot or save it for later. 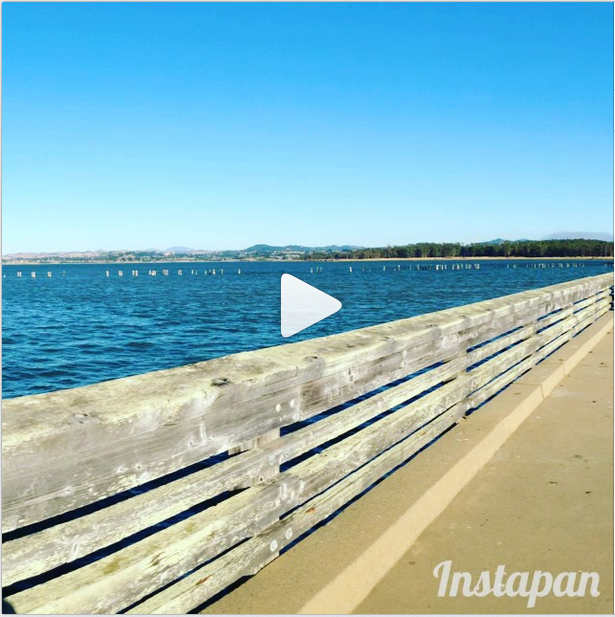 Instapan for iPhone not only lets you post your full panoramas on Instagram, it converts them into short videos that viewers view see in all their scenic glory. Dive into your photo library and load one of your panos into the app. It takes practically no time flat to get into the swing of Instapan. Then crop the pano to get rid of unwanted elements, set the motion at one of three speeds (1x, 2x or 0.5x), set the direction of the motion (forward or back), and save. The new video goes directly to your Camera Roll. Stupeflix’s Steady for iPhone lets you shoot stable video in square or 16:9 format while you’re on the move. The app, which simulates the effect of video shot with the aid of a dolly, drone or Steadicam, reframes your shots in real time to produce smooth, cinematic camera movements. Using the iPhone’s gyroscope, Steady knows where the camera is pointing while you record and compensates for all steps and shakes that occur. Use this app while walking, running, riding a bike or any other moving activity via a simple set of controls. Point, choose flash or no flash, and front or back camera and then hit the big red button to start recording. This year’s launch of Animoto Video Maker for iPad has Apple’s tablet joining the company’s roster of iPhone and Android video apps. Animoto, which hosts your video creations in the cloud, is targeted to a wide population of consumers, small businesses, educators and photographers. The app is easy to use, with step-by step features. Animoto packs a choice of more than 50 themes and original music to fit the content and mood of your video. 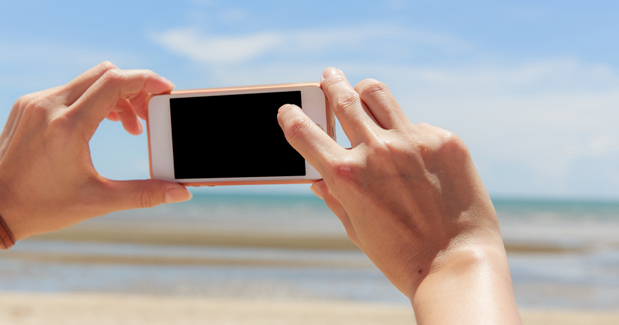 Within a few minutes, you can create a pro-quality video based on new shots or videos stored in your Camera Roll. Just launch the app, tap the Create Video button at the top of the screen or start shooting photos or video from your iPad. Kwilt cuts through the confusion of where your photos dwell online with an aggregation service that accesses nearly all the photos you have stored in the cloud and on your devices. It displays the images you have and their location in real time in an attractive scrolling layout — like a virtual quilt. 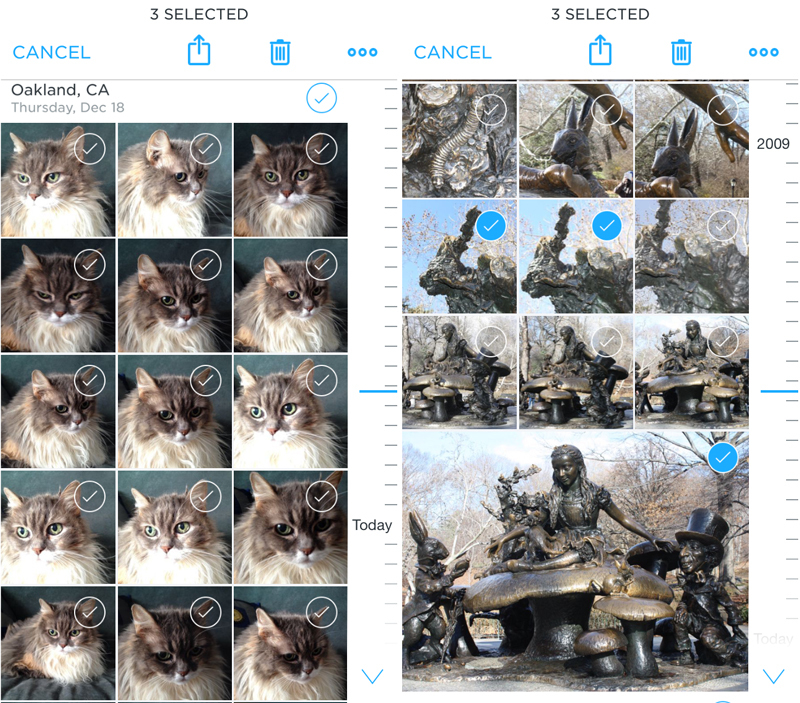 Like an online photo stream, Kwilt accesses images from Facebook, Instagram, Flickr, Google+, Dropbox, the iPhone and iPad and DLNA devices and displays them from their original stored locations, letting you create a scenic collage. Kwilt is a service; it does not store your photos, but accesses them from other servers. Users can then sort by file name, location or specific source to locate specific images. If you’re using the Dropbox Camera Uploads folder to store your photos and videos, the mobile Carousel app will arrange your snaps and videos into an easy-to-browse gallery according to date, location and event. A handy slider at the bottom of the window easily transports you back and forth in time. Scroll to access past pictures or tap the blue arrow on the right to return to the present. Carousel shows the photos you shot on your phone as well as those backed up in Dropbox. You can share an event in one tap and keep photos shared with you from your friends. 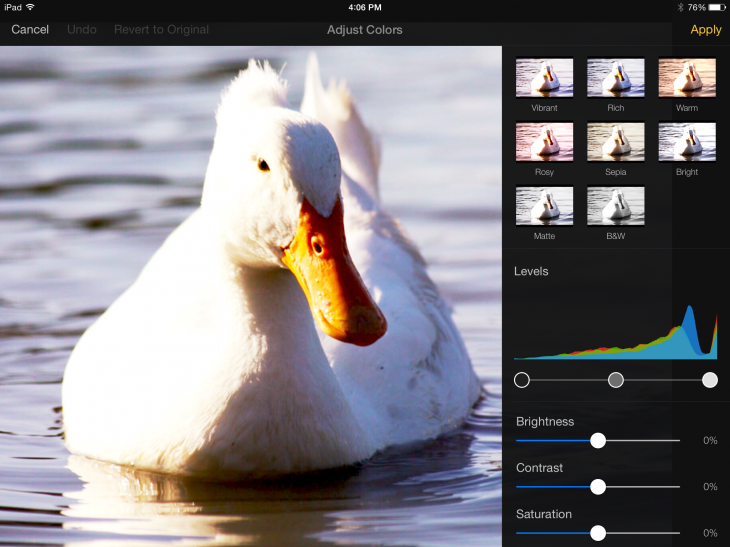 Adobe’s Lightroom Mobile for iPad functions as an adjunct to its desktop photo management app, Adobe Lightroom 5. You will need both to reap the full benefit of the mobile app. Lightroom Mobile lets you step away from your computer and carry your images with you to a more comfortable space where it’s just you, the tablet and your picture. While away from the desk, you can apply more creative and experimental thinking or more original edits to your images that won’t get lost between tablet and desktop. The app features a powerful syncing function that lets you dynamically trade images back and forth from the desktop with updates intact, regardless of where you made them. Photographers may already be familiar with Pixlr, Autodesk’s browser-based photo editor, and its mobile companion Pixlr Express for iOS and Android. The most recent addition, the desktop edition, offers many of the mobile Pixlr’s tools — such as fun stylized filters that turn your photos into sketches and watercolor paintings. New entries such as a double exposure option and Influence Masks can correct photos, perform advanced edits or create photo-based artwork. This new version offers more advanced features such as high resolution output, complete preservation of image metadata, the use of any font on your system and blending modes for composites and special effects. Do you use Instagram? If so, Grids is for you. This new Instagram client app from Think Time Creations gives a more visual and intuitive look and operation to your Instagram feed, especially if you often check it on the desktop. Grids helps you see all entries in a clean, flexible interface that works with any size screen and full screen mode and supports Retina displays. The difference is the ability to view all the images end-to-end without distracting white space, or set parameters like image size, image spacing and background color to your own vision. 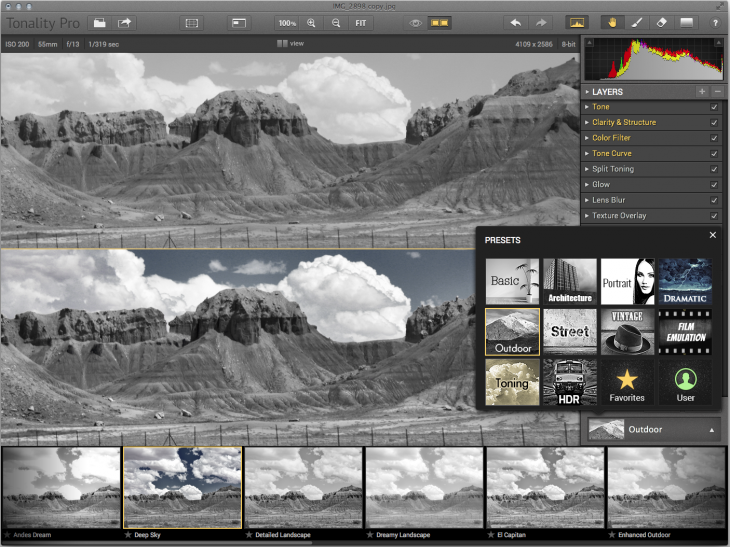 MacPhun’s Tonality joins an elite cadre of software packages dedicated to black and white imagery. The app aims to give both pro users and enthusiasts the tools to create subtle but beautiful wide-ranging tones in black and white as easy as it is to desaturate an image in Photoshop (and with far superior results). While Tonality appeals to a broad range of users regardless of skill level, more advanced users get power and flexibility in the ability to target specific layers for effects at variable opacities, employ and combine smart controls like adaptive exposure and smart contrast, and use the app’s gradient mask in combination with various controls. I don’t know a single artist who does not use pastels for something. AKVIS Pastel, which converts photos in pastel art, takes you beyond the numerous general purpose painting apps that let you apply pastel effects because AKVIS’s new app specializes in the genre. The application’s brush tools let you refine the preset result by changing stroke direction or adjusting the strength of the effect on different areas of the picture. 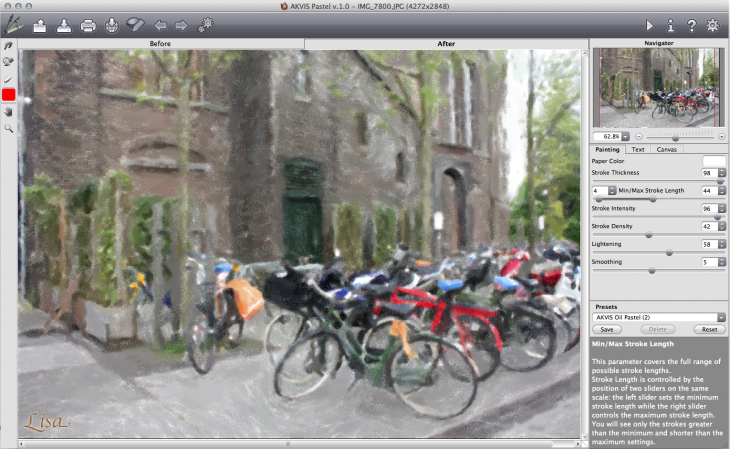 You can also use the the app’s built-in brushes to add strokes to the image. PhotoSweeper helps you zap duplicates and similar photos to save hard drive space and let you zero in on the best photos. First, it delves into your photo libraries to search for exact duplicates. When those are dispatched, you can double back to find a more granular selection of similar but not identical photos. The app gives you comparison methods like Bitmap (for better performance), Histogram (for accuracy), Time Interval, and even combinations of those search criteria. Each choice offers slider controls and/or pulldown menus that help you refine selections. PhotoSweeper works with your photo management tools (or lack of them) on their own terms: If you are removing duplicates from iPhoto, they will go into iPhoto’s trash. For Lightroom, duplicates are placed in a special collection. Photos you drag into the interface from your hard drive will go to the system trash. Since we could not include every great new photo and video app in this roundup, if you have a favorite not mentioned here, please share it in the comments.